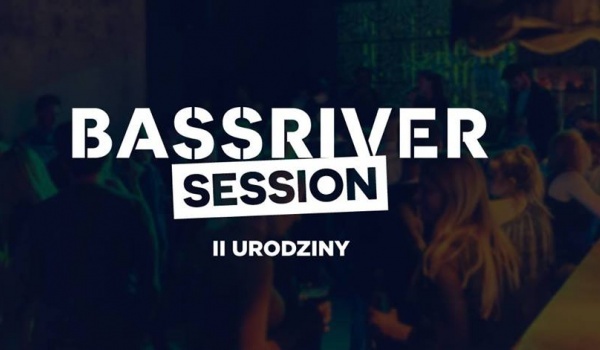 2nd Bassriver's Bday Session at BARdzo Bardzo | Bilety na koncert | Warszawa | Going. Najgorętszy event klubowy w Stolicy, obchodzi swoje drugie urodziny! Energetyczna muzyka klubowa, żywe instrumenty, wokaliści- tego wszystkiego można się spodziewać na Bassriver Session w BARdzo bardzo! Całości wrażeń dopełnią interaktywne wizualizacje! Ta impreza, w formule Jam Session, już od dwóch lat regularnie porywa parkiet BARdzo bardzo! The hottest club event in the capital city, celebrates it's second birthday! - Are you bored with regular club events? - Come and try something totally different! Bassriver Session is an event where DJs are supported by musicians playing live on instruments, intensifying the perception of acoustic waves in a club which will leave a pleasant sensation for all those having graced the dancefloor. This event which already has the street cred from respected artists and DJs, as well as love from the streets of Plock, will bring once again exclusive style of bass to the Warsaw scene.